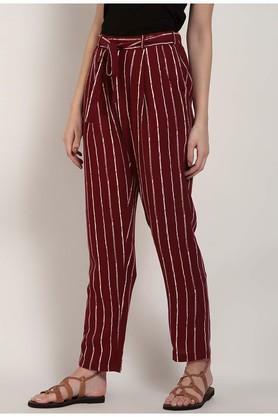 Make a fine addition to your wardrobe collection with this pair of pants from the house of Rare. It has been tailored with a premium quality fabric, which will keep you at ease for long hours. 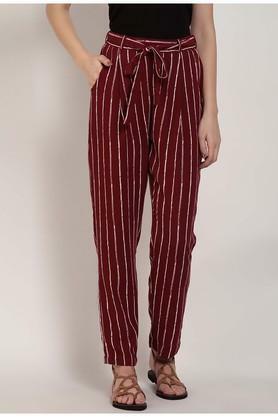 Moreover, it features a stripe pattern that renders it fashionable. The fixed waistband with a tie up belt further ensures a proper fit. 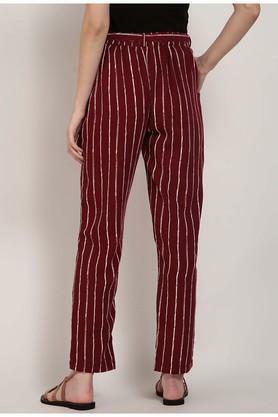 Cast an impression on your friends by wearing this pair of pants, which features a stripe pattern. You can team it with a crop top and a pair of heels to complete your casual look.